I have the black and white map (at left) hanging in my house. 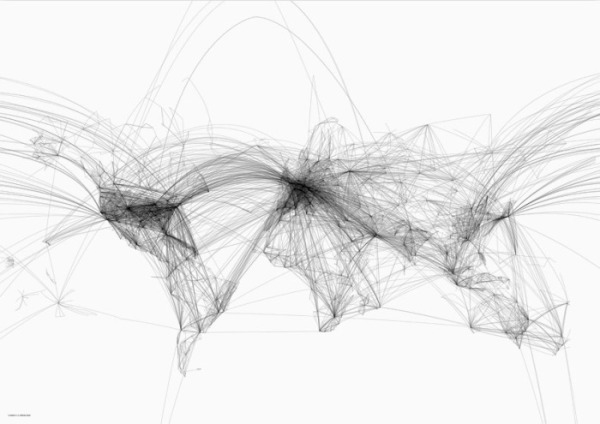 It is a digital map of all of the flights across the world over the course of one day. When I am feeling pensive I look at it and think how small the world can be and how quickly I can get, literally, anywhere. On the other hand, the colored map (below right) shows the trade routes of British (yellow), Dutch (green), and Spanish (red) from 1750 and 1800. It’s amazing what 200 years can do.